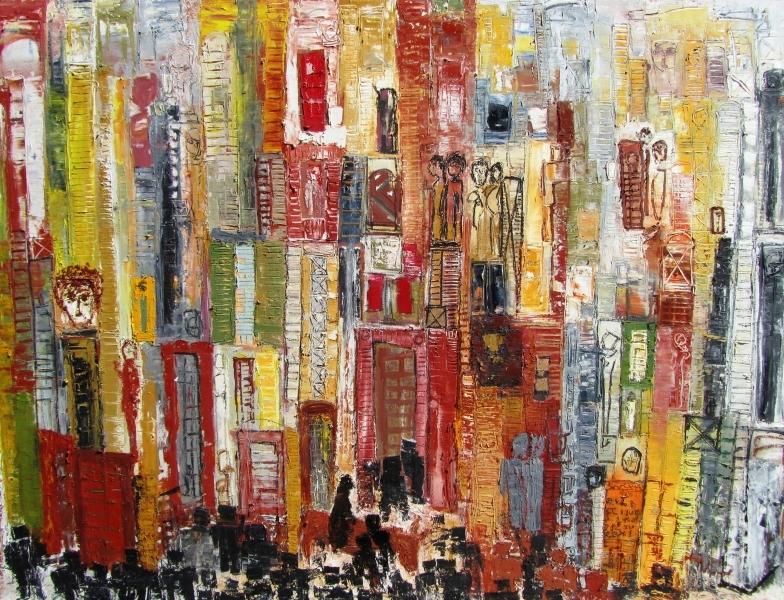 Ahmed Farid was born in Cairo, Egypt in 1950 where he currently lives and works. Farid is one of the very many autodidact Egyptian painters who trained privately in immersion apprenticeship in established artists’ studios. His paintings are a reflection of his interestingly life and background. 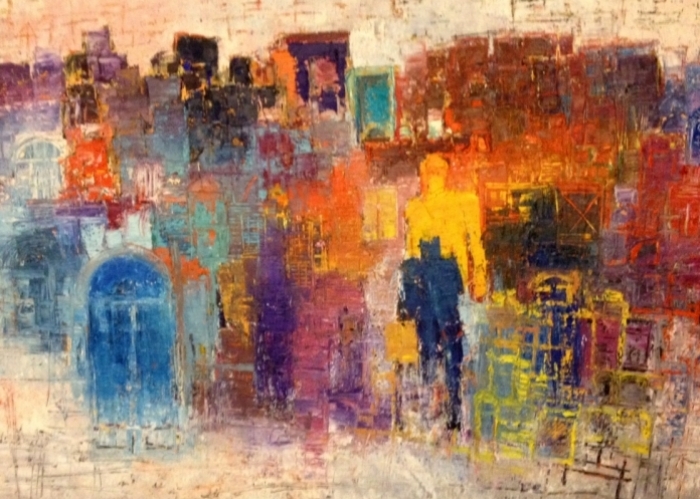 With a degree in social sciences and an early career in marketing communication and business, Farid’s encounter with painting came through extensive travels in the early seventies, an era that he lived fully with its European post May 1968 culture, its American summer of love and Woodstock repercussions, and above all, its local Egyptian political and social effervescence. Perhaps this local and international concurrent cultural exposure left residues of desire to create the art he cherished and consumed, but was never able to practice except at a later stage in life, precisely in 2003. Farid started to develop his own painterly personality. 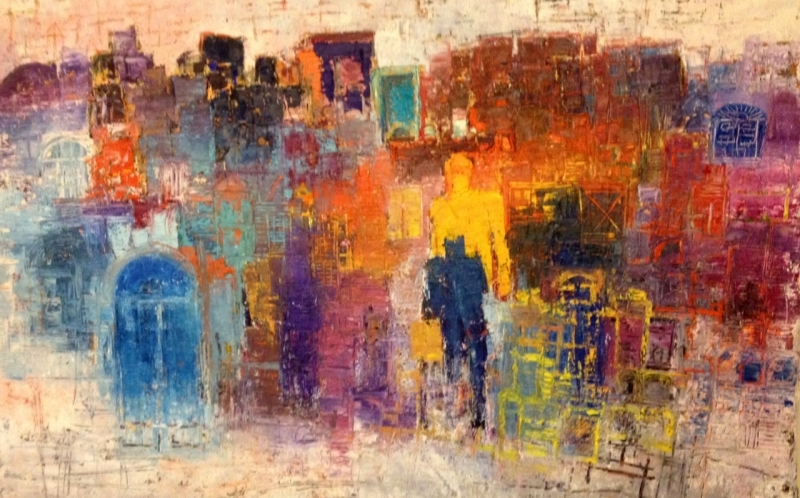 Farid possesses a brushstroke that is obsessed by textures and thick pastes of paints; the content of his canvases are many times reminiscent of the Egyptian abstract expressionist Gazebia Sirry or the European expressionist Nicholas de Steal, and his painting practice demonstrates an undeniable visual attraction to less textural American color field painting. 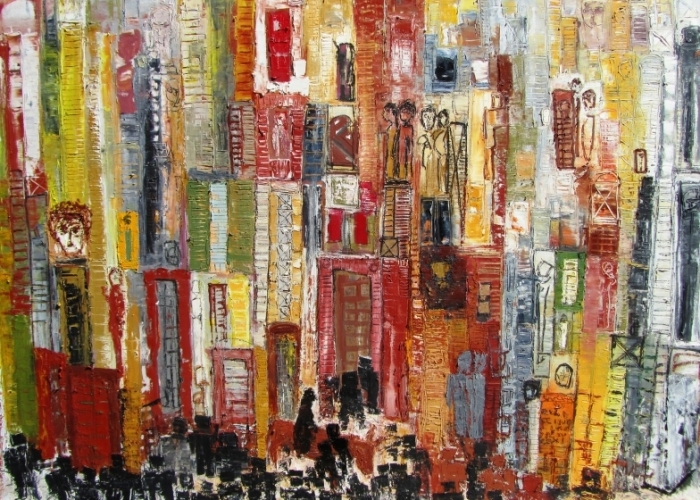 2008: Contemporary Views, Al Masar Gallery, Cairo, Egypt. 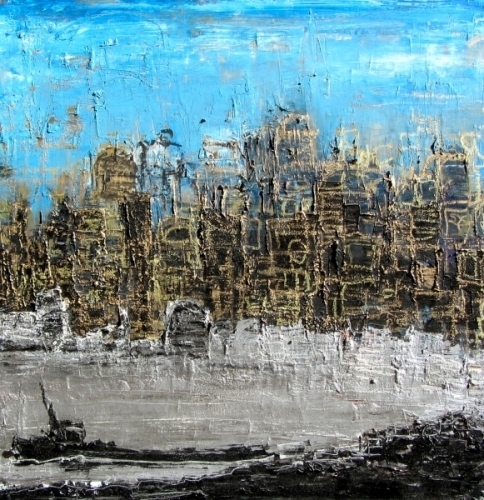 January 2011: Contemporary Views IV, Al Masar Gallery, Cairo, Egypt. 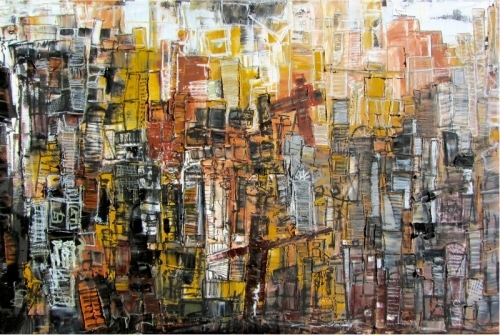 September 2011: Contemporary Views III, Al Masar Gallery, Cairo, Egypt. 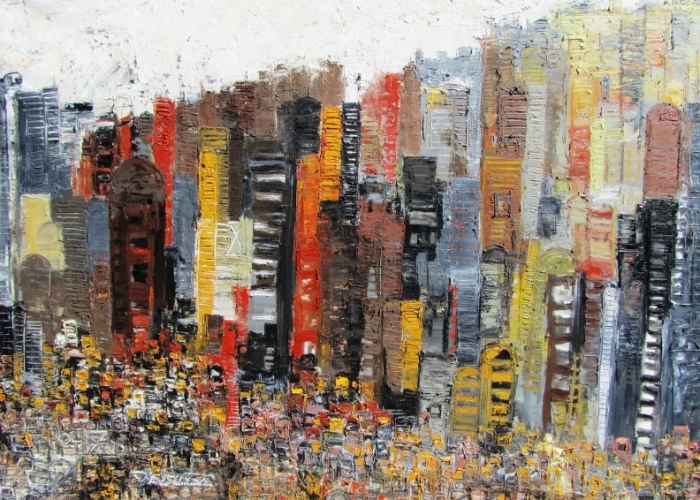 20 May – 21 July 2012: Gallery Collection, Group Exhibition, Al Masar Gallery, Contemporary Art. 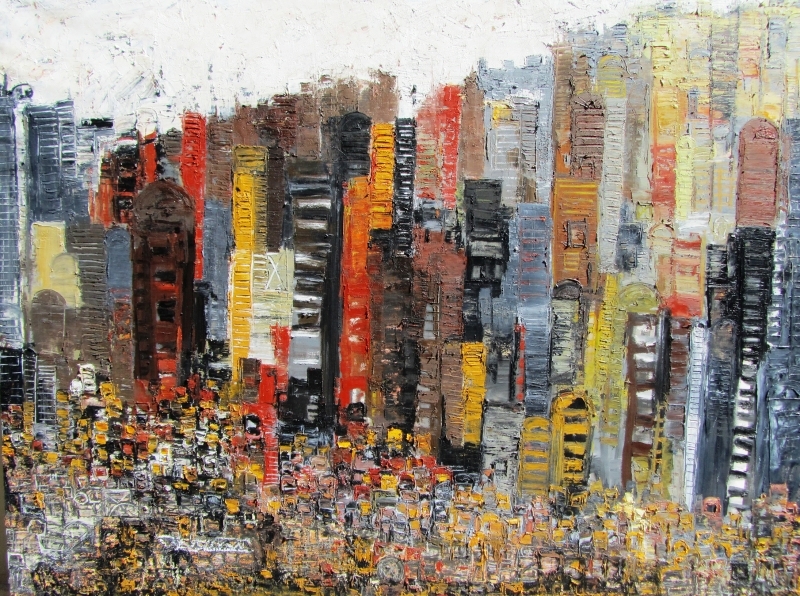 May – June 2012: Artists at Home and Abroad, Broadway Gallery NYC, New York, USA. 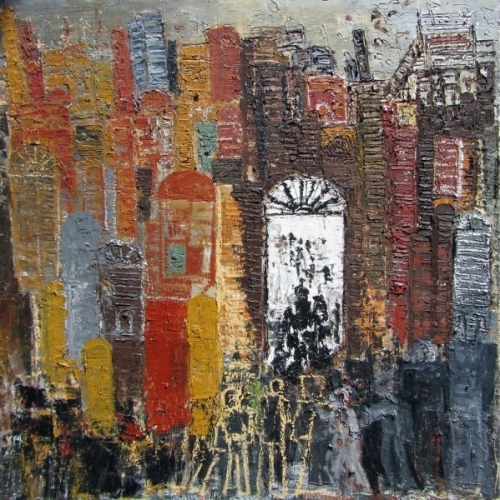 October-November 2012: Trevisan International Art – Little Treasures, Bologna, Italy. March 2013: Faustini Art Gallery- Florence, Italy. 2008: Workshop with Rafael Minotto in his studio in Padova, Italy. 2009, 2010, 2011, 2012, Jan 2013, and March 2013: Workshops at the Academia D’Arte Florence with Patrizio Travalgi the renowned Italian artist who participated in biennale Vincia and was involved to Cairo Biennale in 2010, and artist Stefano Pascolini.